The photo booths at weddings and other special events can make a huge difference. People naturally flock to the photo booth to put on funny hats, making funny faces and having a good time, all round. They are extremely useful in making parties look really attractive. This is because photo booths will add extra spice to the event. In New Jersey, photo booths add an extraordinary ingredient to the event, enhancing what is already in place with good music and food. 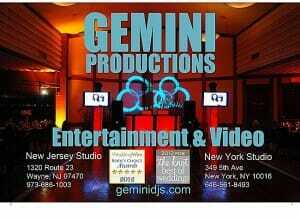 There are New Jersey DJ and event entertainment companies who offer photo booths as part of their fun package. Your parties are won’t be dull with great food and music. You can count on that. Young people and folks of all ages want to enjoy themselves. They will always avoid a dull and boring environment. They want action all of the time. With the rise of social networking, people also have a strong interest in sharing the pictures they have taken at these events, and the photo booths play an important part in this. People entering the photo booth will often dress up in very innovative and fun ways. The party can also become a costume party. In that case, everyone will be dressed in unique ways. Some people may look like pumpkins, which is very relevant to costume and themed parties like Halloween. There are also other occasions where costume parties are very common. Of course, the New Jersey DJ will have his task cut out for him when it comes to planning entertainment for a crowd with diverse tastes. But somehow, NJ DJs will find a way to make them all groove. The best idea is to play music in which people can dance. Most of the young generation will love the remixed versions of old and new songs which are really rhythmic and full of awesome beats. To add to this great atmosphere, the photo booths happen to be added attractions. Inside the booths, the people can take pictures of themselves in their variously dressed conditions. The DJs are extremely useful in also setting the theme of the party by changing the music from time to time. It will also depend on what the party is all about. If the event is someone’s birthday or marriage anniversary, then a lot more thought has to be given to make everyone enjoy themselves to the fullest. For further information about fun photo booths and how to best use them at your special event, contact Gemini DJs today. You’ll be glad you did.